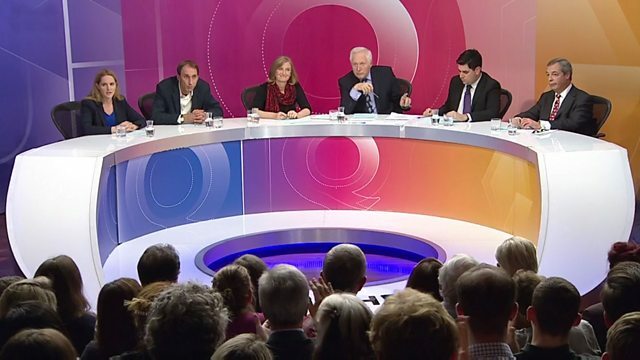 David Dimbleby presents topical debate from Maidenhead. On the panel are Dr Sarah Wollaston MP, Richard Burgon MP, Nigel Farage MEP, Will Self and Louise Mensch. On the panel are Conservative chair of the Health Select Committee Dr Sarah Wollaston MP, Labour's shadow justice secretary Richard Burgon MP, former leader of UKIP Nigel Farage MEP, novelist Will Self and author and commentator Louise Mensch.